SWAT officers and deputies in Harris County, Texas, surrounded the home late Thursday of Joseph James Pappas, the suspect in the shooting death of cardiologist Dr. Mark Hausknecht, CBS Houston affiliate KHOU reports. They were unsure if Pappas was there. It turned out he wasn't, police said at a news briefing. Deputies cleared and secured the home just after midnight Friday and said they'll continue to patrol the area. Officials say neighbors called for law enforcement presence Thursday evening because they feared Pappas would return to his home when no one was watching. 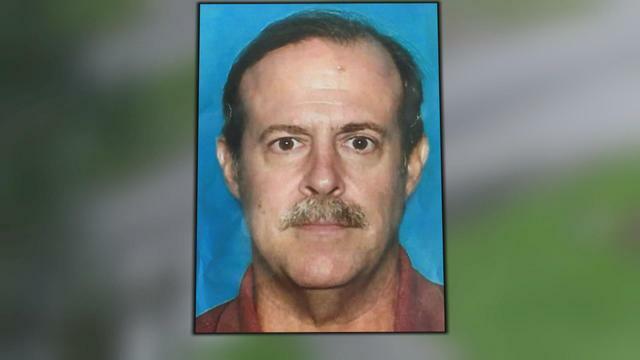 Houston police Chief Art Acevedo said at a news conference Wednesday that Pappas, 62, should be considered armed, dangerous and possibly suicidal. Authorities said he may have been seeking revenge for his mother's death. "There was a lot of planning that went into this. There was a lot of planning and, sadly, some skill," Acevedo said of the attack on Hausknecht, who was gunned down July 20 while riding his bike to work. Authorities say the shooter rode past Hausknecht before turning around and firing. Acevedo said Pappas is very fit and that he likely has his 10-speed bicycle, which he rides "extensively and almost exclusively." A tip on Tuesday led police to suspect Pappas, the chief said, though he didn't elaborate as to the nature of the tip. Acevedo said police searched his home at 4 a.m. Wednesday and found evidence that ties Pappas to the killing, but he declined to elaborate as to the nature of the evidence.